So, you want to create a learning game? 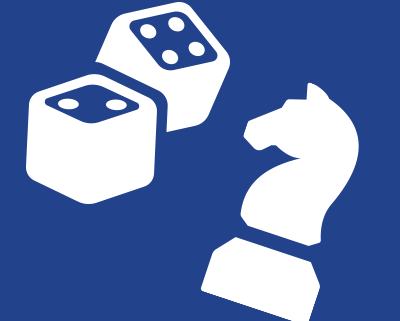 I’m teaching a game design course online with Karl Kapp that begins next week. There is a lot of interest from instructional designers, teachers, and sundry others in designing learning games. This, of course, is heartening to me since I am a major proponent in the use of games as a learning tool. Part of what we discuss in this course (and every course we do on game design) is the importance of playing and evaluating lots of games as part of learning to become a game designer. For those interested in learning games, in particular, I think it is important to play and study LEARNING games as well as regular, commercial games. It can be tough to find a diversity of examples when you start hunting for learning games. Apps are easy to find. Games for older students and for adults are really tough to find. Here are a few learning games I can suggest for evaluation purposes. Some are better than others. The games are primarily for adults, but I also included some K-12 games. Moneytopia – this is an older game I found several years ago, but still point people to for evaluative purposes. Its target audience is young veterans or military personnel. The goal is to make these people better at managing their money and planning their financial futures. You decide how effective you believe it will be. It definitely mirrors the trend of lots of learning games I see that spend lots of time telling people how to play before they actually get to play. Bezier pen game – This game is amazing. Its target audience is visual designers who need to learn to use a Bezier pen with online applications. It has NO “tell.” It is 100% learn by doing. It offers a completely opposite approach to Moneytopia. The tutorial is beautiful. The game goal is simple: create images using the fewest number of nodes possible. Replayability is very high. Feedback is continuous. If you are a non-artist (like me), it’s frustrating but very engaging. Spent – this is technically a game for change, but I can see this game used in a variety of ways. The game is a conversation starter. I doubt that by itself it changes anything, but used as part of an education campaign or a classroom experience, I think it can have quite an impact. Notice that you get into the game immediately and it’s a very quick play. Replayability is high. Dumb Ways to Die – I LOVED this game! It is a mobile phone game (playable on tablets, too) that was part of a train safety campaign done for Melbourne, Australia. The game is sassy, funny – and not meant to be the sole learning experience. It IS a way to engage the audience and get a few points across in a humorous way (such as do not touch the red button and stand behind the white line). The link I provided goes to App Store. The app is also available for Android devices. Dragon Box – this game supposedly teaches algebra without mentioning algebra at all. I enjoyed the game, but I do not know if I could successfully complete high school algebra again. I think the game would make a fabulous companion tool in an algebra class. I’m less clear it replaces algebra class. Grading Game – This is a personal favorite of mine. It has a simple, but effective, back story, and I love the feedback mechanisms. Finally… let’s look at what folks are doing using rapid authoring tools. These templates were posted by the Rapid eLearning Blog several months ago. If you looked at some of the other links I listed above before you look at these templates, you will notice a big shift. The game design elements you can use – and the game play experience you can create – is limited when you attempt to use an eLearning authoring tool to produce the game. Most designers agree that eLearning course authoring tools are not the best tools for creating games, but this is often the only tool eLearning folks have to use. They want to create a game…and the only tool they have is their rapid authoring tool. So…. review these and decide for yourself what you think. They may spark other ideas or they may inspire you to explore a game creation tool such as Construct2, whose output can be embedded INTO an eLearning authoring tool such as Storyline or Lectora. http://www.theknowledgeguru.com/dev/wp-content/uploads/2014/10/gamePieces.jpg 150 150 Sharon Boller http://www.theknowledgeguru.com/dev/wp-content/uploads/2018/04/knowledge-guru-by-blp.png Sharon Boller2014-10-15 01:28:072015-07-06 17:14:02So, you want to create a learning game? Chance vs Strategy: Which Works Best in Serious Games? If you are creating a serious game to help your employees improve their performance, the type of game you create depends greatly on the type of job your employees have. Are either of the following statements true? Day-to-day work is highly reactive in an “anything can happen” environment. 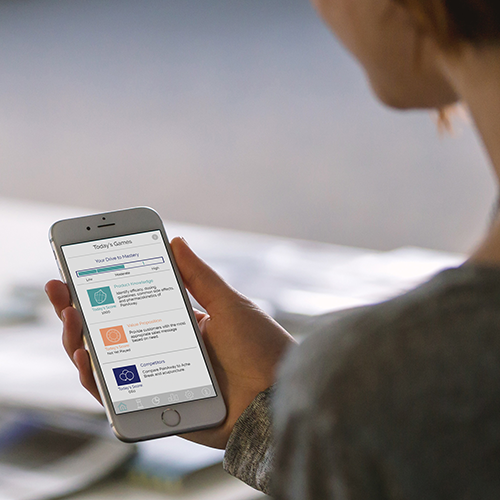 Employees complete tasks such as responding to varying customer needs or emergency situations. Work is based on organization, planning and foresight. This might be the case for sales managers, executive leadership or even individual contributors who must carefully plan and execute project work. 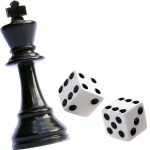 Depending on your situation, you should include an appropriate amount of chance or strategy in your serious game that reflects the work environment. As always in game design, you’ll want to avoid game elements that are irrelevant to learners. Gadgets and gimmicks within a game serve as more of a distraction than an engagement tool. Sharon Boller talks about this at length in her learning game design blog series. With so many different game elements and game mechanics to potentially include in a game design, instructional designers new to game design often struggle to find focus and direction. We think about the “fun” of commercial games we have all played and enjoyed and try to incorporate all of this into games for our learners. The result? Games that are distracting, out of focus and ultimately ineffective for learning. The two game elements most commonly misused are chance and strategy. The usual mistake? too much chance. Would-be designers add lots of “surprises” to their games thinking it will make the experience more fun. The other mistake is to include strategy or chance in a game when the real answer is to use neither. 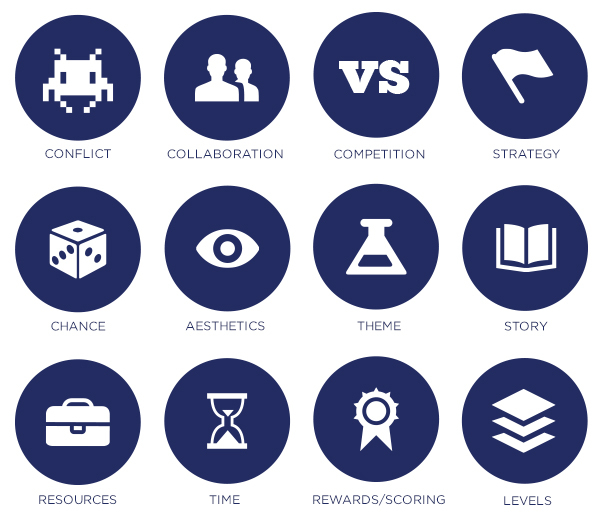 Sometimes, the best corporate learning games focus on just a few game mechanics and game elements so mastery of the content can be brought front and center. What control do players have in the real world over decisions? How do I design that into the game? Don’t forget that chance and strategy, while seemingly very important, are only two of the many game elements available to you. A game does not need chance or strategy to be fun or effective for learning. Knowledge Guru’s game play is essentially simple and straightforward. Why? Each game is really a template of sorts for whatever content you put into it. If the game had too much chance, it would undermine scenario questions where learners must formulate a strategy. And if the game had a strategic focus, it would distract learners who need to learn how to respond to seemingly random situations in real time. So, what about strategy and chance? You probably already know if your learners’ jobs involve more chance or strategy. Whichever is more true for them, be sure to include the appropriate game element in the game they will play. The bottom line: When designing a game, you should never include a game element or game mechanic if you do not understand how it is linked to the desired learning outcome. http://www.theknowledgeguru.com/dev/wp-content/uploads/2014/07/chance-strategy.png 400 400 Steven Boller http://www.theknowledgeguru.com/dev/wp-content/uploads/2018/04/knowledge-guru-by-blp.png Steven Boller2014-07-09 13:16:372014-10-07 14:54:35Chance vs Strategy: Which Works Best in Serious Games? What does it mean to evaluate a game? What format should you use? Read on. Scurvy Scallywags is a game I recently spent hours playing over a period of weeks (along with Candy Crush, which I did not enjoy) so I could evaluate the game elements within that made the game so addictive. Both Scurvy Scallywags and Candy Crush rely on the same core dynamics of alignment and exploration, but the play experience is quite different. Here’s my game evaluation of Scurvy Scallywags, using the game evaluation worksheet that I’ve evolved to help me analyze games I play. What is the game goal? Was it fun? The game goal is for you to find the “ultimate sea shanty” (which has amazing powers). Yes, it was very fun! What were the core dynamics? Were they fun? The two main dynamics of Scurvy Scallywags and Candy Crush are exploration and alignment, and the concept is very simple. In Scurvy, you have a large map with numerous islands on it. You direct your ship to various islands and then select specific locations on the island to explore. Once you select a location, the second dynamic, alignment, comes into play. Specifically, you have to find three in a row of the same object (a coconut, a spider, flasks, etc.). Swiping these items helps you align power swords that increase your character’s power in the game and lets you defeat other pirates. This, in turn, earns you gold as well as a cache of objects you can sell for gold. We start learning pattern matching in preschool, so this is not complex game play. Neither is the exploration dynamic in this game as you are merely tapping locations on a map. I found both dynamics to be fun. However, the “fun” in it is not the dynamics by themselves. It is the game elements incorporated into them, You could have a very un-fun game that relies on pattern matching. The fun comes from the rewards and achievements you earn and in the problem-solving you do to identify the most strategic matches to make to get at least three power swords to align, which increases your power rating. What were three game mechanics that stood out as good/bad? You start with three pirate hearts in the game. Battling against a pirate who is more powerful than you will cost you one of those lives. If you accrue sufficient gold, you can purchase an additional pirate’s heart. 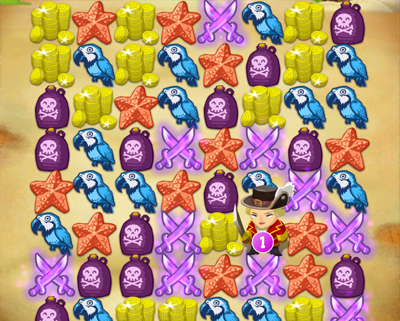 The direction in which you swipe your “three of a kind” items will dictate how you and your enemy pirates shift around on the game board, which makes it possible for you to dodge or evade enemies with carefully considered moves. This game contained many different game elements: great aesthetics with lots of varying game boards and items to swipe, a clear theme (pirates and a treasure map), a backstory and continuing narrative thread, numerous different resources that you could purchase or earn by progressing through the game, levels of difficulty, strategy, some chance (you never knew when a new enemy would appear), and competition (against the enemy pirates in the game). The game element that stood out most to me were the resources. These varied quite a bit in terms of their cost and their benefit so I spent time considering which resources would be most advantageous to me. If I were to pick a second item, it would be the feedback in the game, which was voluminous. How did you know how well/poorly you were doing in the game? What feedback did you get? There was a display that showed me the number of pirate hearts I had remaining. There was a power rating that showed me my current power level, which was critical to monitor so I did not prematurely attack an enemy who had more power than me. I had a display that showed me how much gold I had accrued on any game board. I had an “enemy pirate” counter to show me the number of pirates I had to defeat. As I defeated an enemy, the counter would track that, too. I had various dashboards available within my menu that showed me status info regarding what level of ship I had, what I had available to purchase, etc. The idea of a clothing item for an avatar as signaling progress in the game and rewarding the player for achieving a certain level of performance. The ability to evaluate how much complexity is going to be too much complexity for a learning game. In Scurvy, it’s very fun to have so many resources to consider and incorporate into a strategy. By playing the game, I could see that the number of resources and options needs to be winnowed way down to avoid too much cognitive load on the player. The element of surprise in terms of earning a reward you didn’t realize was possible to earn. Several times in the Scurvy game, I received bonus points due to a great action I’d taken – but I didn’t know beforehand that the potential to earn these points was possible. This element of positive surprise kept me playing. I want to incorporate that same idea into the learning game we are developing. 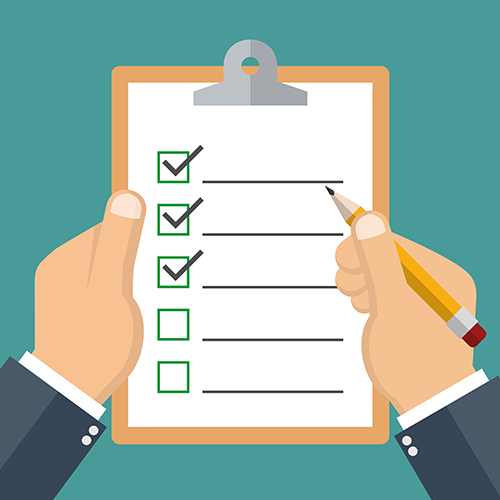 Download the Game Evaluation Worksheet for yourself! Use it to evaluate game mechanics and game elements for use in your own serious games. 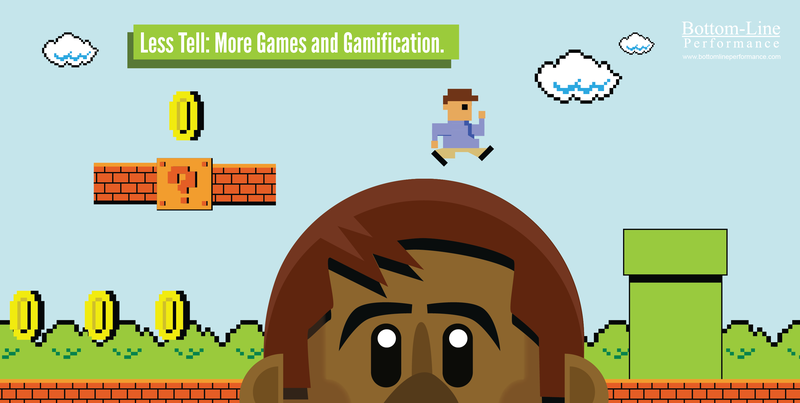 A lot of people want to design learning games—also known as “serious games.” However, many of us in L&D have gotten very enthusiastic about the gamification and game-based learning trend without actually being game players themselves. If you do not play games, you will find it very difficult to design a great game. In the learning game design workshop that Karl Kapp and I offer, that’s exactly what we have you do—play some games. Game play helps you learn game design. It also helps you become evaluative about what game elements and game mechanics will optimize the game play experience. The lessons you learn from playing a lot of different commercial games will translate into good game design decisions for serious games. Playing games helps you experience game elements such as chance, strategy, aesthetics, levels, rewards, achievements, scoring, competition, cooperation, and resources. You can observe how other game designers have used these elements with great (or poor) effect and consider how well the elements might translate into a game that also is specifically intended for learning. You can also experience different core dynamics and decide how fun they are. Evaluation through play needs to be a deliberate experience. It is more than a matter of simply playing a lot of games. It involves analyzing the games you play—sometimes in great depth. Some in the corporate learning field get nervous about using “too much” story for obvious reasons. Will the story be too “out there” for some learners? Will a story that is too detailed exclude certain learners or make them feel the game does not apply to them? Would story add to this game? Include story when you need to evoke emotion in players and motivate them to play. Can story be used as a learning tool? Research shows that incorporating story and even fantasy elements into games can help embed memories. 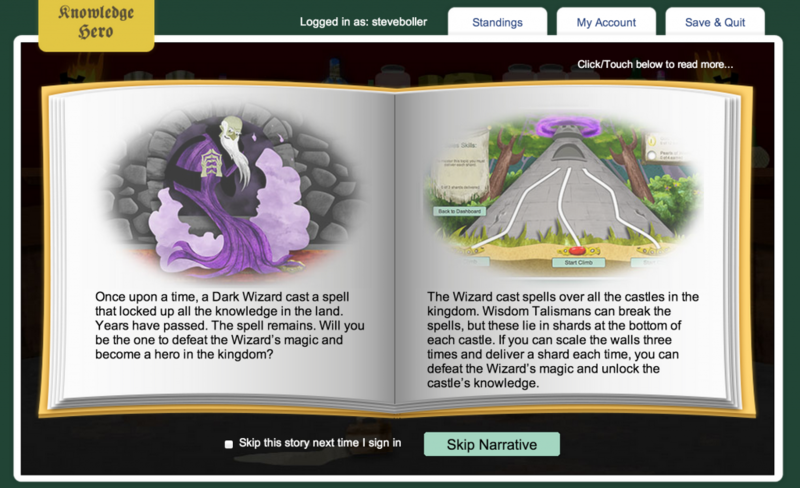 You also might be able to make the story mirror a real-life situation for learners, either literally or metaphorically. Should I combine my story with a theme? When we think of story, we often think of theme at the same time. A game’s theme is essentially a backdrop or collection of aesthetic elements. 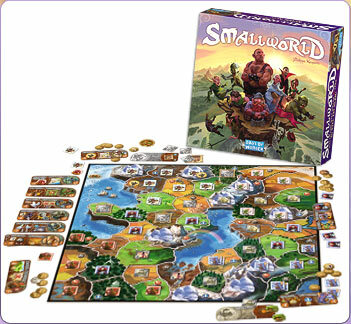 In the board game Smallworld, the theme is a beautifully illustrated fantasy island with many topographies. The story connects to the theme: you are one of many races vying for control of a small island that is not big enough for all of you. The game’s story is simple and intentionally vague, but it is effective because it is combined with a lovely theme and well-done aesthetics. The level of story will depend on how immersive your game needs to be. For a complex game teaching high-level skills, you might require a level of story bordering on simulation-worthy realism. For a game teaching foundational knowledge and simple skills, a complex story might be unnecessary. Each time we develop a new theme pack for Knowledge Guru, we try carefully to develop a story that is simple yet fun… and does not distract from whatever content users put into the game. We also carefully link the game’s story to the aesthetic elements of the theme. In the new fairytale-themed “Knowledge Hero,” players learn about a Dark Wizard who has locked up all the knowledge in the land. These simple stories create a feeling of interest and novelty, yet have nothing to do with the actual content or “knowledge” the user has inputted into their game. Even when the theme is pretty “out there” (like our new Space Aliens theme), the story is always fairly straightforward. You should also consider how a simple story can be more business-centric, which will be more suited to certain players. We created three different “business” themes that combine a corporate feel with fun and whimsy. The truth? The type of story and amount of story you need completely depends on your learning goal. Make sure story is being used as learning tool and not a distraction. http://www.theknowledgeguru.com/dev/wp-content/uploads/2018/04/knowledge-guru-by-blp.png 0 0 Steven Boller http://www.theknowledgeguru.com/dev/wp-content/uploads/2018/04/knowledge-guru-by-blp.png Steven Boller2014-04-02 13:22:062014-04-02 13:22:06How Much Story Does a Serious Game Need? I first met Karl Kapp in late 2012. I was a fan of one of his early books, Gadgets, Games, and Gizmos for Learning, which he published in 2007, and I’d also read and enjoyed his recently published The Gamification of Learning and Instruction.. Consequently, I was pretty thrilled when he visited the Knowledge Guru booth at DevLearn 2012 to learn about our newly-launched game engine. He was intrigued enough by its design to check out a session I co-presented with Scott Thomas of ExactTarget on the use of a Knowledge Guru-created game within ExactTarget. Based on what Karl heard about ExactTarget’s business results, he asked me to contribute a case study to a forthcoming book he was writing with two other main co-authors, Rich Mesch and Lucas Blair. 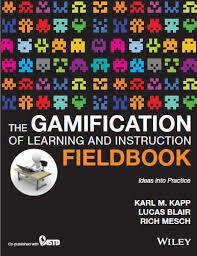 The book, titled The Gamification of Learning and Instruction Fieldbook, was going to pick up where its predecessor left off. It would offer more in-depth “how-to’s” and include numerous examples of games or gamification being successfully used as a learning strategy. I contributed my chapter about a year ago. A few weeks ago I was rewarded with a copy of the finished book. I read the entire book (not just my chapter), and I was impressed by the wealth of knowledge it contains. It offers detailed explanations of the terminology of games as well as solid definitions of what a learning game is and how a learning game differs from gamification of a learning solution. Here are several highlights or nuggets from various chapters. If you are serious about wanting to implement learning games or creating a gamification strategy, get the book. The section on scoring will be hugely helpful to any new learning game designer. In my own experience, scoring is one of the most difficult aspects of game design to get right. This chapter offers excellent guidance. Karl helps the reader think through the measurement criteria that could be used within a game – and how to decide which ones are relevant for a particular learning game. He specifically speaks to being able to articulate the rationale for the scoring – and keeping it simple enough that the learner/player can understand how a game is scored. He also points out that optimal scoring matches the desired learning outcomes. There are questions and guidelines galore to help the designer figure out how to create a good scoring system within a game. You have to play games – lots of games – before you can realistically design a good game. Playing games exposes you to the array of game mechanics you can use. As the author notes, “Often when creating a game or simulation, you will…repurpose, recombine, or modify game mechanics from other games that already exist.” You can’t do this if you don’t have experience playing – and evaluating – a ton of games. I’m constantly amazed to find people in our learning game design workshops who don’t play games. It’s tough to design a game if you don’t play them frequently yourself. Feedback is one of the reasons games are such a powerful learning tool. As players play a game, they constantly get feedback on how well or poorly they are doing, and they get cues on what they can do to adjust their performance. 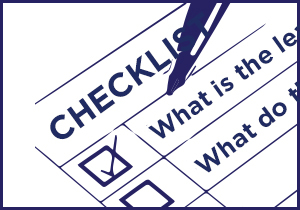 The Fieldbook talks about the impact of feedback on the player and identifies a variety of feedback types that a designer can incorporate into a game. This section is going to be very helpful to the novice designer. Story helps immerse a player into the game experience AND a story can also help a learner remember the key take-aways from a game experience long after play ends. The author reminds readers that good stories have a beginning, middle, and end and they chart a logical progression of conflict, resolution, and conclusion. This chapter includes a simple template for creating a story, a useful tool for novice and experienced designers alike. This chapter summarizes the research on the efficacy of games as a learning solution. If you want details on a large array of studies you can find them within Chapter 7. For a brief summary, check out this infographic created by our team at Bottom-Line Performance, Inc. This is a useful chapter for organizations looking to discover what development tools are out there for creating serious games. The delineation between template-based authoring tools, game engines, and gamification platforms is particularly useful. Here you’ll find EIGHT (!) different stories of organizations who implemented a learning game or a gamification strategy related to a business initiative. Readers get the background on the business situation that led to a decision to create a game or gamified strategy, a description of the solution, a summary of the business results achieved, and lessons learned. For folks who need examples to help support their efforts to convince their own organizations to adopt the use of games these chapters will be very helpful. You manage a learning function that wants to implement a game-based solution and you want to sell stakeholders on the idea of using a game or gamification. You are a designer and you want to build skill in creating learning games. A growing body of research supports the use of serious games in the workplace. And thanks to a year of successful implementations in corporate settings, some great case studies now point the way for organizations ready to use games for learning. Whether you want to use a true serious game, a gamified solution, or a combination of the two… it’s a great time to do so. While research shows that people learn more from games than other learning solutions, many L&D practicioners still do not know why games work… so they avoid using games entirely. 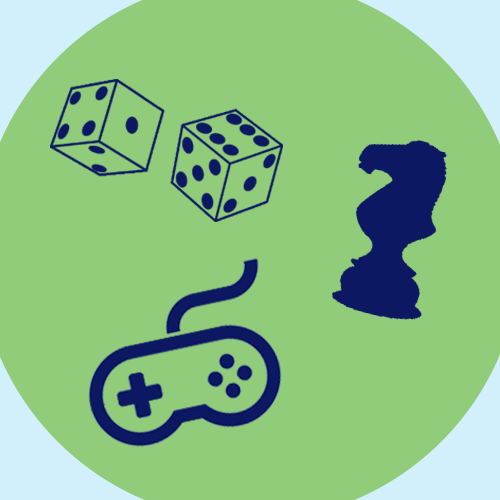 If you think you want to use a game for learning, you first must become familiar with the types of “fun” in games, what’s required for real learning to happen, and the ways games can link the two. We’ve created a new guide to help you accomplish this. The content, researched and written by Knowledge Guru creator (and BLP president) Sharon Boller, takes the mystery out of using serious games in the enterprise. It’s a simple thing, really: become familiar with the ways people have fun in games, identify the common principles all effective learning solutions share, and then carefully map the two together. And once you map the “fun” elements of your serious game to the elements needed for learning, you’ll also want to employ some research-based learning principles to actually help people remember the content after they’ve learned it. Are your game mechanics and game elements actually mapped to the cognitive tasks learners need to perform on the job? Are you taking advantage of the latest research on how the human brain best commits knowledge to long-term memory? The guide, titled 4 Ways Serious Games Link to Learning, is available as a free download. What a year it has been for the Knowledge Guru product! We first launched the game engine in October 2012, added the Game Creation Wizard in 2013, and are now humming along with happy customers and a wide range of feature enhancements planned for the coming year. Besides product enhancements, a big focus of ours is educating the community on how serious games and gamification can be used for learning. We’ve published many articles on our blog, as well as on the Bottom-Line Performance blog, on the topic. 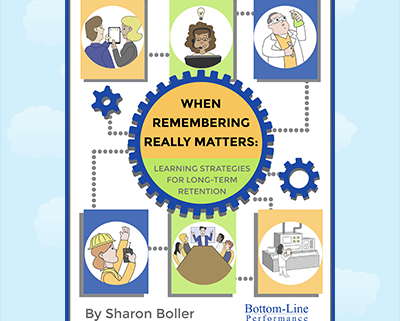 Since BLP President and Knowledge Guru creator Sharon Boller is passionate about using games for learning, it comes as no surprise that some of the best posts were written by her. These five articles were the most-visited on our Knowledge Guru website in 2013. We will be back with more great content this January. 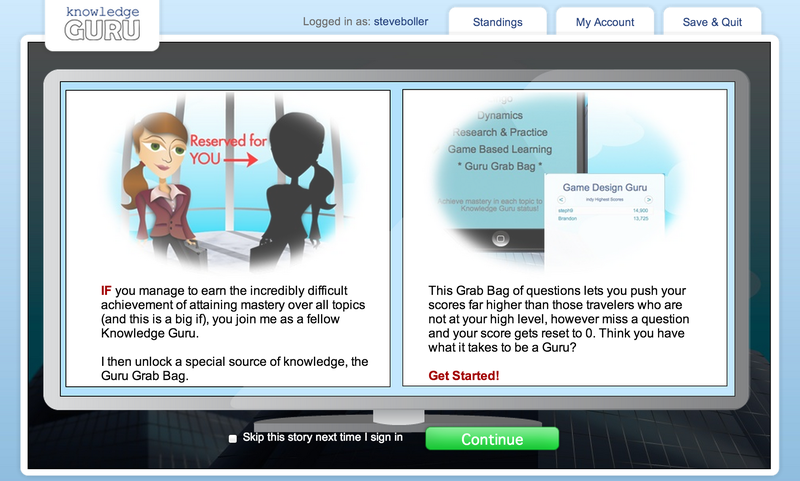 Many of our customers are first drawn to Knowledge Guru because they are looking for a serious game. They want their training to be more game-like and fun for learners. But as much as we are believers in the power of games to improve learning outcomes, the fact that Knowledge Guru is a game is not as important to the learning value as the learning principles we built into the game’s design. Any game becomes useless for learning unless learning is carefully built into the game mechanics and game elements. In the case of Knowledge Guru, we use three research-based learning principles within the game to help players acquire knowledge. These principles are at work in every Knowledge Guru game, no matter what content you put into the tool (as long as you write your question sets correctly!). It’s intuitive, really. We need to repeatedly study material in order to remember it. 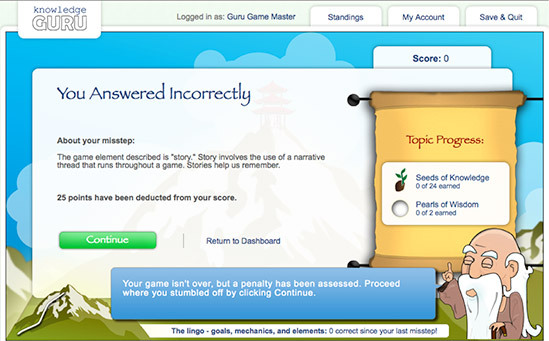 In Knowledge Guru, game questions are grouped into question sets, which are groups of three questions. 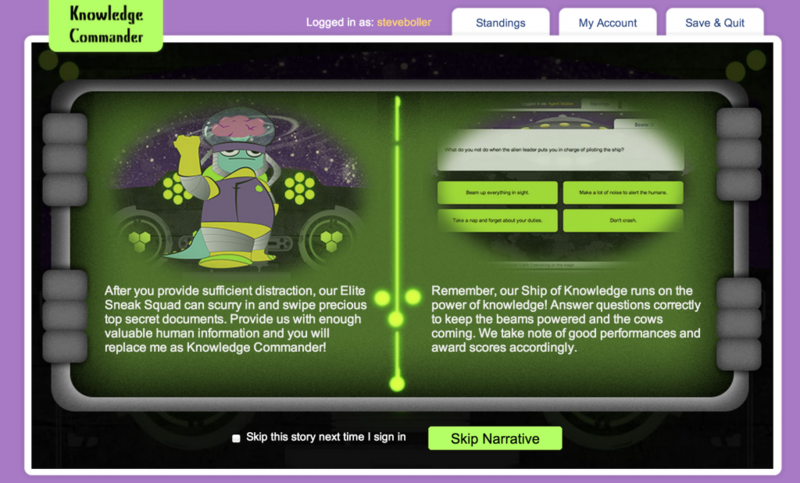 Each question set is linked to a learning objective in the game. Each question set teaches one piece of information, but the three questions each approach it in a different way. Question A might be fact recall, Question B a true or false question, and Question C a scenario question where learners apply the information in context. More about creating question sets here. Another way to think of repetition is practice testing. A 2013 report by the Association for Psychological Science rated Practice Testing as a “highly effective learning tactic.” Giving learners more evaluations aids in further learning… and each path in the Knowledge Guru game is another mini “evaluation” or challenge learners must complete. Because the information is brought to mind multiple times, it is easier to remember. This is similar to the learning benefit found from using flash cards. Sometimes referred to as distributed practice, spaced learning happens when we space our learning out into small chunks over time. The same Association for Psychological Science report referenced above found that intentionally breaking learning into smaller bits and spacing the practice out builds long-term memory better than other study methods. We use spaced learning in a “macro” and “micro” way within Knowledge Guru. The most obvious is the Guru Grab Bag mode, which contains all of the questions from the normal game mode, but is only unlocked when learners complete the regular game. By returning to the game days or weeks after completing it, the learning is reinforced. 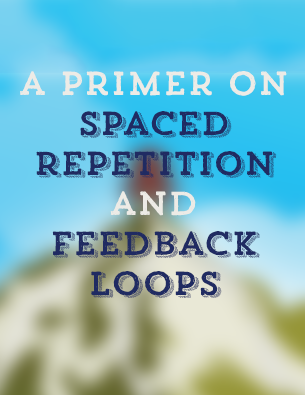 Spaced learning can even be beneficial if the repetitions are spaced only a few minutes apart. Since the three questions in a set are placed on paths A, B, and C, learners are exposed to the same information after short breaks (if they complete the topic in one sitting). They move on to the next question. Depending on where they are in the game, achievements are earned. The game provides an explanation of the mistake. The learner returns to the same question and must try again. Instead of merely letting players get the answer wrong, the game immediately corrects them and helps them learn why they answered incorrectly. This is how Knowledge Guru helps people learn content, rather than simply evaluating them on how much they already know. While gaming is central to Knowledge Guru, we see the learning principles behind the game as the most valuable element of the product. We’ve aligned our efforts so each enhancement and iteration uses the principles of spaced learning, repetition, and immediate feedback to help people acquire knowledge faster.